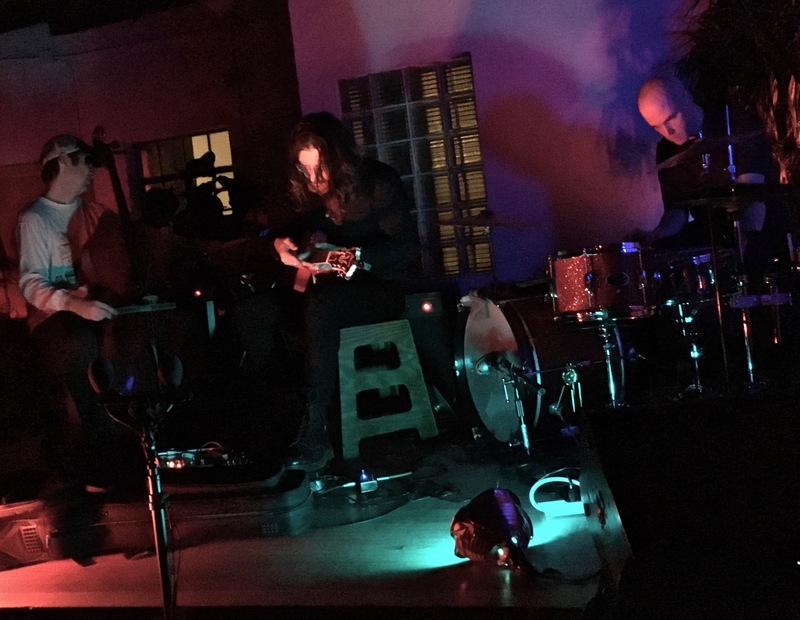 20 search results for "tom carter"
These are the moments that Trans-Pecos was meant for: daring performances by a crew of avant-garde artists, coming together at the night’s endpoint for a brave and spectacular jam. If you’re not familiar with these players, Tom Carter has appeared on this site several times. The experimental guitarist and co-founder of the band Charalambides continued his long tradition of exceptional work with this year’s Long Time Underground, released earlier this year by Three Lobed Recordings. Carter Thornton, who I hadn’t had the pleasure of seeing before, is a “guitarist” of a sort, but also a builder of instruments and master manipulator of electronic sounds. He’s appeared with a number of well-know underground acts, including fellow Three Lobed alums Enos Slaughter and Gnaw, a doom metal supergroup of sorts. And Chris Corsano — who we saw all over the place during the 2012 Hopscotch Music Festival as its “resident improviser” — is a drum innovator who turns most people’s conception of that instrument on its head. 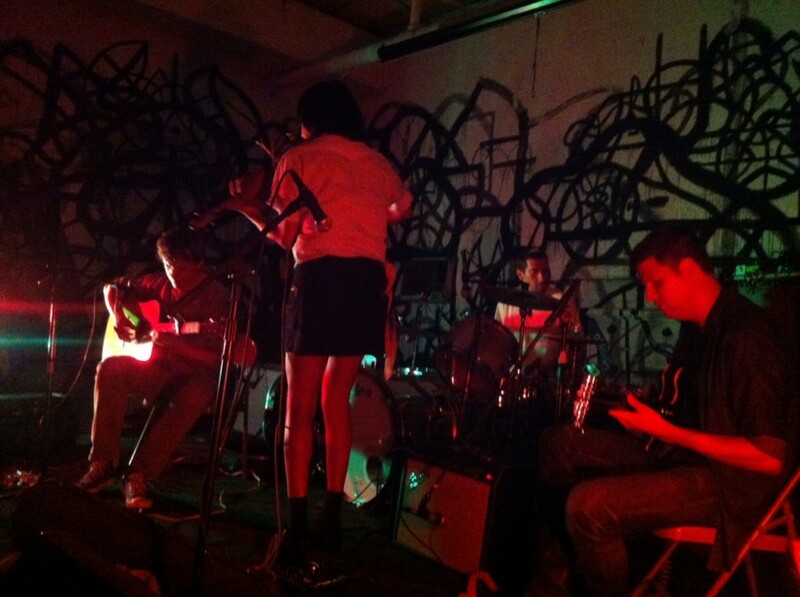 This night featured each of the three players performing a solo set, with Thornton followed by Carter and then Corsano. Thornton played two new compositions, “Right Turn on Green” and “Who Shot JR” followed by Carter performing a new short improv and two Long Time Underground tracks. Corsano’s improvisation was, as expected, an otherworldly experience, but even that had to take a back seat to the first-time-ever trio performance that followed, when the group combined to create a dense composition featuring electronic sounds, guitars and Corsano’s drumming, which the group is calling “Twelve-Five.” This is something that’ll reward repeat listens, as the careful listener can pick out the roles each of the artists is filling at different times during the performance. We are thrilled to share all of these unique pieces of music. I recorded this set with Schoeps MK4V microphones at the stage lip, mixed at certain times with the soundboard feed to bolster the electronic sound. The sound quality is outstanding. Enjoy! The last time we caught up with Tom Carter, he was playing as a duo with Barry Weisblat at the small South Slope bar, Freddy’s. That was a particularly out set that I’m still trying to wrap my head around, so I wasn’t quite sure what to expect when Carter took the stage a couple weeks ago at Trans-Pecos, heading a bill that featured guitar savant Bill Orcutt (his set here) and the percussion/guitar duo 75 Dollar Bill. 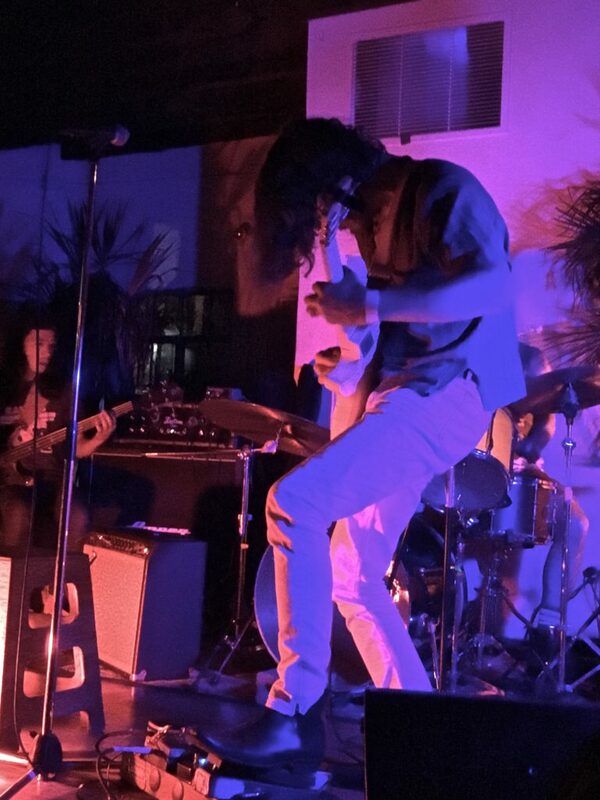 Carter’s improvised set is a spacey, thirty-eight minute guitar journey of three to four distinct but linked movements punctuated by quiet, meditative transitions. Carter is a master of this craft and I highly recommend turning up the volume and letting yourself go with this one. I recorded this set with the AKGs at the stage lip and a soundboard feed from Trans-Pecos FOH Max. The sound and performance are entirely in the zone. Enjoy! Catch Tom Carter tomorrow night in a duo with Pat Murano at Trans-Pecos! Facebook event here. I would also be remiss not to mention some new music from Tom Carter coming soon via Three Lobed: the solo double-LP, Long Time Underground. Preorder details should be available soon. The guitarist Tom Carter has made a couple of appearances on this site, being one of this city’s most exciting innovators on the instrument. While Carter was already known for his eclectic tastes, both as a solo act and with Charalambides, this combination of Carter and the multi-instrumentalist Barry Weisblat took things further into the out realm. The two appeared at last month’s installment of the “Music From NY Underground: On the Way Out” event held monthly at Freddy’s Bar in Park Slope, and produced an improvisational composition worthy of that title. Weisblat arrived armed with a host of obscure devices able to create a host of tones and textures, to which Carter overlaid his signature guitar sound. The end result was a thought-provoking, almost cinematic drone sequence that was revelatory to see created, but will reward patient repeat listening even more. We are excited to have been able to witness and capture this unique musical interaction, and hope you feel the same. I recorded this set with Schoeps MK5 microphones in the ORTF configuration near the performers, together with a feed from the small PA system mixer. The sound quality is outstanding. Enjoy! For those interested, the next installment of this series happens tonight (March 24, 2015) at Freddy’s. Check it out. If you enjoyed this recording, please support Tom Carter by buying his music from Wholly Other, the “Buy Music” links at the Help Tom Carter page and visiting the Tom Carter page maintained by Kranky, and please support Barry Weisblat by visiting the Q-02 page for him and checking out his work on the Free Music Archive. About two or three minutes into “Beauty Draws the Seed”, one of three compositions Tom Carter played at this year’s Three Lobed Recordings / WXDU Day Show during Hopscotch Music Festival, it was clear that this would be a session that would be unforgettable. I have seen Tom play several times, but this afternoon show was special — a day that every artist invited showed up with their absolute best. Carter’s layered, carefully rendered guitar compositions start to resemble living organisms, expanding and contracting. They exist beyond words, beyond simple emotions. This was a set of profound beauty, Carter’s first solo set in North Carolina. He made it one for the ages. These songs will be available in 2014 on releases from Three Lobed Recordings as well as an Italian label so new it doesn’t have a name yet. We are not only thankful for what Carter has accomplished to date, but what lies in front of him. I recorded this set with a soundboard feed customized for this recording and Schoeps MK4V microphones. The sound quality is outstanding. Enjoy! If you enjoyed these recordings, PLEASE SUPPORT Tom Carter by buying his music from Wholly Other, keeping an eye out for the forthcoming Three Lobed release in 2014, visiting the “Buy Music” links at the Tom Carter page and visiting the Tom Carter page maintained by Kranky. After a health scare sidelined him for much of last year, it was especially moving to see the guitar wizard Tom Carter back in action on Memorial Day weekend at Mercury Lounge. The Charalambides guitarist took us on an emotional journey through rare material that began with the “Nancy’s Song” (a renamed version of “Colors For N” from the Whispers to Infinity CD-R), followed by “August Is All” from the Northern Spy Records Clandestine Cassette series, and closing with “Numinous”, a very limited and out-of-print 2010 cassette-only release from Prairie Fire Tapes. While some live recordings can’t capture the magic of being in the room, I like to think this is exactly the kind that rewards repeat listening. The delicate but majestic tones of “Numinous” felt like the right choice for an artist whose comeback should continue going strong. I recorded this set with a soundboard feed provided by the Mercury Lounge team, plus Schoeps MK41 supercardiod microphones. The sound is excellent. Enjoy! If you enjoyed this recording, PLEASE SUPPORT Tom Carter by buying his music from Wholly Other, the “Buy Music” links at the Help Tom Carter page and visiting the Tom Carter page maintained by Kranky. The guitarist Steve Gunn joined longtime collaborator John Truscinski (with whom he comprises the unit Gunn-Truscinski Duo), and bassist Justin Tripp (along with Laura Ortman on violin for most of the set) for a very special trio performance to benefit the guitarist Tom Carter. Carter, who has worked on many projects over the years but is best known for his work in Charalambides, contracted a serious form of pneumonia while on tour in Europe, and has incurred significant medical bills while being treated in intensive care and, more recently, at recovery centers in both Germany and the United States. 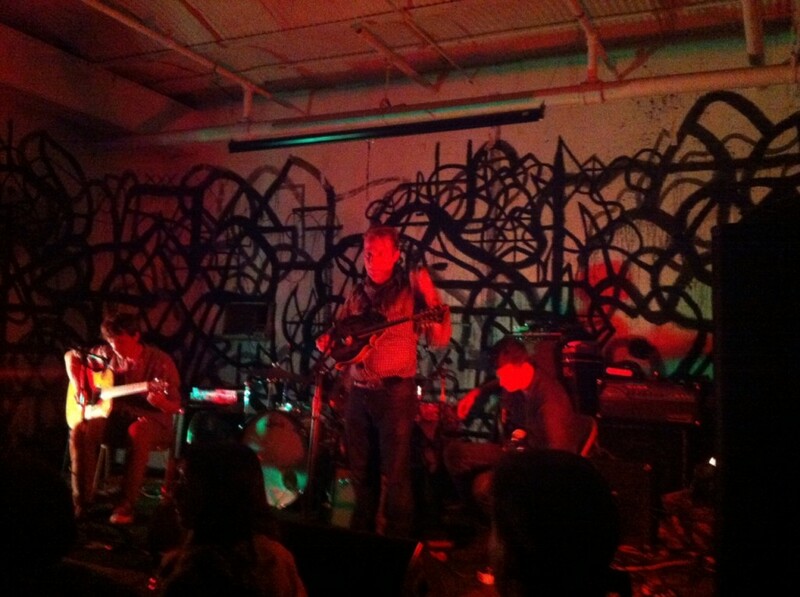 This show at 285 Kent, sponsored by the Issue Project Room, was designed to raise funds for Carter’s ongoing recovery. The community of avant-garde guitarists and musicians is incredibly tight-knit and supportive, and this contribution in New York was one of many efforts to support Tom around the world. This set consisted of both new material and work from Gunn’s two most recent LPs for Three Lobed Recordings, one highlight of which was “The Lurker”, Gunn’s side from the out-of-print Three Lobed 10th anniversary box set. For that song, Gunn & co. were joined by Marc Orleans, who most recently collaborated with Carter on the Northern Spy Records release Eleven Twenty Nine. The song, like much of Gunn’s work, showcases a range of styles and unique phrasing, and Orleans’ participation made it all the more memorable. 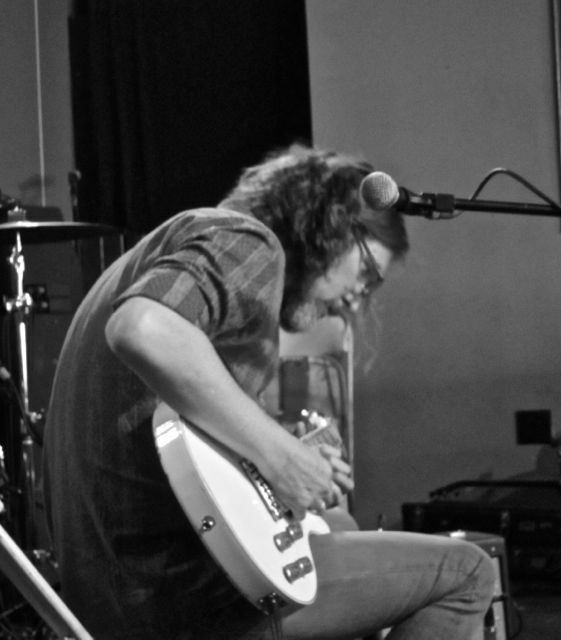 Streaming below is a rollicking full-band version of the 2012 Gunn classic “Trailways Gramble”, which appeared on Three Lobed’s compilation of work of eight outstanding American underground guitarists, Eight Trails, One Path. While a lot of this night’s crowd may have been there for the headliner, Thurston Moore’s Chelsea Light Moving, it was perhaps this unique collaboration of guitar talents that was the most fitting tribute to Carter and the work he has done to this point in his life. We wish Carter a speedy recovery, and encourage you to donate by buying music, donating via PayPal, or attending other benefit shows, all of which can be done by clicking the link at the top of this post. nyctaper and I recorded this set in our usual manner for this venue with Sennheiser MKH-8040 microphones and a soundboard feed. While 285 Kent can always be a bit of a challenge with quieter acts, we feel this is a recording of excellent quality. Enjoy! The Chelsea Light Moving set was also recorded and will be posted this week. If you enjoyed this recording, PLEASE SUPPORT Steve Gunn, visit his website, and purchase his records from Three Lobed [HERE]. Please also support Tom Carter by visiting helptomcarter.org, buying his music, and donating to his medical expenses. The beautiful thing about seeing a Tom Carter-related project is you never quite know what you’re going to get, but you know it will be transportive. It could be anything from his trio set with Chris Corsano and Carter Thornton late last year, to his ambient/drone work with Barry Weisblat, to one of his haunting solo guitar sets — whatever you see, you will be glad you did. On this night, we saw one of Carter’s best-loved projects, Eleven Twenty Nine, originally a collaboration with fellow guitarist Marc Orleans which has yielded an impressive album on Northern Spy Records and a followup on Drawing Room Records. For this special performance at Trans-Pecos, Carter and Orleans were joined by Jimy SeiTang on bass and Rob Smith on drums, both of whom have seen time in our favorites Rhyton. The set consisted of three distinct improvisational pieces, each a rich, engaging tapestry of sound that blended the aesthetics of rock, free jazz and ambient music in the way for which these players have become known. What is an undulating, complex beast of a song, composed improvisationally out of many disciplines becomes a transcendent whole. Witness, for example, the climactic guitar at the end of the first piece, or the subtle, searching quality to the beginning of the last. You can certainly enjoy hearing it happen on a recording, but seeing these guys do their thing live is without parallel. I recorded this set with Schoeps MK22 microphones up front, Naiant X-X microphones onstage, and a soundboard feed. The sound quality is outstanding. Enjoy! Sixteen years ago, longtime rabid music fan and newly minted law student Cory Rayborn came up with an audacious, maybe even ridiculous idea: He would press a ten-inch containing some unreleased Bardo Pond material and sell it for money. Anyone who knows much about the economics of record labels, or the vagaries of vinyl production — especially in the vinyl-challenged year 2000 — knows that usually translates to “lose a bunch of money and piss off a bunch of customers in the process.” But a funny thing ended up happening: First there was that Bardo record, Slab, of which the 500-LP run would go on to sell out. Not but another couple releases in came Purposeful Availment, an 8-CD series that also featured Bardo Pond. Then there was TLR-012, an LP of Bardo Pond playing with Tom Carter, followed in short order by the Cypher Documents CD. Then another CD series, Modern Containment, found Bardo back on Three Lobed, with their Adrop CD. There are more than ten others since, right up to 2014’s Shone Like A Ton and Refulgo releases and their contribution to the Parallelogram series last year. 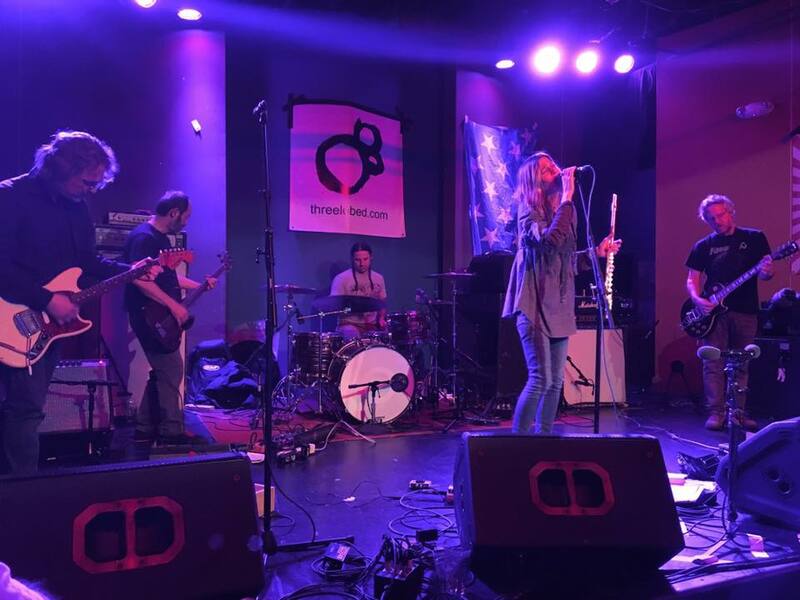 Out of Three Lobed Recordings‘ 117 total current releases, the Philadelphia-based band makes up not only the largest percentage of the label’s releases, but they’re the label’s original reason for being. Since that first 10″, Three Lobed has grown, but its original mission hasn’t changed. The label has kept things willfully weird, releasing everything from Bardo Pond’s feedback-soaked psychedelia to the drone/free jazz sounds of Glacial (Lee Ranaldo, David Watson and Tony Buck), to the Parallelogram contribution from Alan Bishop, Bill Orcutt and Chris Corsano, capped with its brain-damaged cover of Cream’s “Politican,” to the delicate guitar work of Danny Paul Grody, to his work with Hiss Golden Messenger and Steve Gunn. Both the Three Lobed name and its iconic logo suggest not just an expanded but an integrated, functioning mind, and at the root of all those seemingly disparate releases has been Rayborn’s, a font of curatorial taste. In his mind, all of these radically different sounds belong together, and in his presentation of them, he connects the dots. So it meant a great deal, to Rayborn personally and to the followers of the Three Lobed experience, for Bardo Pond’s evening set to close out the marathon of music that was the “Sweet Sixteen Spectacular,” and for them to do with a sprawling, career-spanning set that represented their first return to North Carolina in thirteen years. “Kali Yuga Blues” began the night, with Isobel Sollenberger’s moan floating above the guitar haze. After another Peace on Venus number the setlist went twenty years back to 1996’s Amanita for “Be A Fish” before hurling into what may have been the first live performance of their Parallelogram contribution, “Screens for a Catch (Fur Bearing Eyes)”. Along with four new songs, the band threw in one of the very oldest — “Absence” from Bufo Alvarius — followed by another older number, “Straw Dog,” from Lapsed. Drug references by the band are as prolific as its catalog, and by this point in the evening, even the sober among this crowd had probably lost their sense of time. The set’s, and the night’s, spiritual peak came during the new song “Moment to Moment,” a twelve-minute deep dive into the band’s vision, with each of us led through the deep bed of guitar by Sollenberger’s flute, her voice howling ahead into the void. There was no encore, but one wasn’t needed after the last song, “Tommy Gun Angel,” whose lyrics about rejoining the primordial ooze, melting away like the snow, gave a long-eyed perspective to the proceedings. Every little contribution makes up part of a larger one, a few more positive ions added to the charge of existence. You never know where a dorm room dream like putting out a ten inch record for one of your favorite bands might take you. It might end up something just for you and the smallest group of friends. Or it might be something great. I recorded this set with four soundboard channels from King’s engineer Brad Womack, together with Schoeps MK22 microphones onstage and MBHO microphones hung from the ceiling in the middle of the room. Save for a one-second glitch during the first song, the sound quality is outstanding. Enjoy! This is a rejuvenation of the lists we used to do in the early days of the site. We now have all years updated on the site, 2007-2015, which means that every recording in our history is only two clicks away. Again, don’t take this as an invitation to download massive quantities of recordings. If I find someone downloading 10 or 20 shows at once, I’ll block your IP address. This is a rejuvenation of the lists we used to do in the early days of the site. 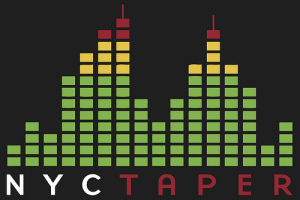 I’m trying to get every year up in this category, and when 2015 goes up in January it will complete a full listing of the entire NYCTaper archives and make available every recording in our history only two clicks away. Again, don’t take this as an invitation to download massive quantities of recordings. If I find someone downloading 10 or 20 shows at once, I’ll block your IP address.